And just like that, soon after this article was published, documents revealed that Facebook planned to hit the 500 private investor cap in 2011, requiring them to disclose financial information or go public soon after. At this hour, Facebook is still mum on which of the options it is planning on choosing. The dates you should circle? 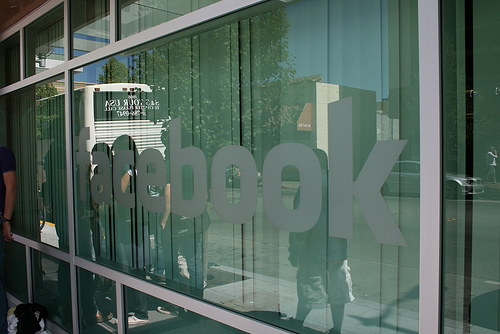 April 2012- that’s when Facebook needs to show their books or IPO. Remember back just a few short years ago when the ultimate goal of a start-up in Silicon Valley was to either get bought out (by a public company) or to go public? The first internet bubble saw companies like Amazon AMZN and eBay make their debuts, but it also relegated other companies to the history books: iWon.com, pets.com, and Startups.com. As a result of new regulations and laws (a major piece being the Sarbanes-Oxley Act of 2002), an Initial Public Offering may not be the glamorous exit strategy it once was. A perfect example most of us have experience with? Facebook. The Sarbanes-Oxley Act was enacted in 2002 in order to restore investor confidence after various accounting scandals at large companies in the 90s and early 00s left investor confidence ‘shaken’. The names still live in infamy: WorldCom, Tyco, Enron. The Act imposed new rules for accounting at public companies, which impose significant compliance costs, especially on smaller companies which don’t have as big accounting departments as the larger players. Was confidence restored? Maybe, and numerous papers are linked to the Sarbanes-Oxley Act article on Wikipedia. Knock yourself out. DQYDJ’s question of the day is of course: was it worth it? The 800-lb elephant in the room is of course, Facebook. The site started in early 2004, and has since grown to over 500 million users. The company was started at Harvard University, but soon moved west to Palo Alto, California (in famed Silicon Valley). Revenues grew to $777 million in 2009, and are rumored to be around $2 billion in 2010. Enough for an IPO? Sure it is… they passed that point already. The demand is even there, as tha article can attest to (recently Goldman Sachs made a deal to invest in Facebook, and allow high wealth clients of the firm to purchase shares). However, if you are Facebook, do you even want to go public? Mark Zuckerberg is already valued in the billions, and Facebook has no problem attracting investment cash when it needs it. However, current investors may pressure the firm to go public eventually. The question on the table is… why bother? Facebook has a good thing going – it can concentrate more resources on selling advertisements and enhancing its site than on generating the quarterly reports required of public companies. People like us only hear about their revenue from a third party, and sometimes the numbers we get are only rumors! Would you give that up? And what countries are picking up the slack on IPOs? Would it surprise you if I said China? For more information on the IPO health of the world and the United States in the past few years, read this interesting report from Renaissance Capital. I expect a large number of the current internet crop to go public eventually- but don’t hold your breath. Coming up, you can expect to see LinkedIn at least! What about Twitter, Groupon, Facebook, Yelp, Hulu, eHarmony, etsy, even Craigslist (although of all of those, Craigslist is least likely to ever go pubic)? Your guess is as good as mine (and I work in this crazy area! )… I look forward to your comments! I think Sarbanes-Oxley is a little heavy on regulation and compliance costs, but it was definitely necessary. During the dot-com bubble, it seemed like they were inventing new acounting standards every week. There is talk of less regulation for smaller public entities, kind of like a Sarbanes-Oxley light. This would keep most of the enforcement, but lighten the compliance requirements. I think it’s a good idea. I’m not so sold on Facebook stock. Although they are making a ton of cash and have momentum right now, there is no competitive barrier to entry. Look at how fast MySpace and Friendster lost popularity. I think it’s a safer long-term bet to invest in companies that actually produce something or provide a service.